Simply standing still is a sure way of falling behind the competition in any industry these days, and the highly competitive and dynamic global packaging machinery business is certainly no exception. 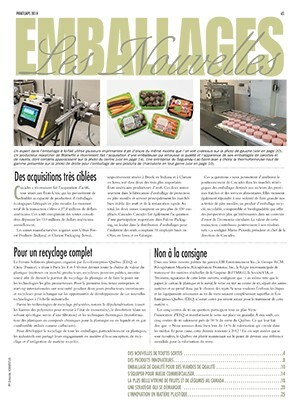 Fortunately for WeighPack Systems Inc., casually resting on past laurels and accomplishments is simply not part of the venerable Montreal company’s DNA make-up and, thanks to the stellar management skills and entrepreneurial spirit of its founder Louis Taraborelli, has never been. 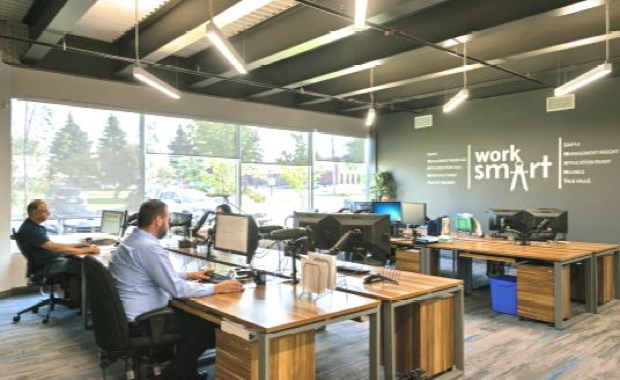 And having just completed a move to the company’s spanking-new, state-of-the-art headquarters and production facility located in Montreal, Que., WeighPack seems clearly intent on raising its proud track record of business growth and capital expansion to a whole new level. 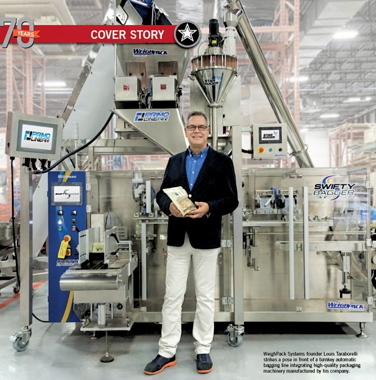 WeighPack Systems founder Louis Taraborelli strikes a pose in front of a turnkey automatic bagging line integrating high-quality packaging machinery manufactured by his company. 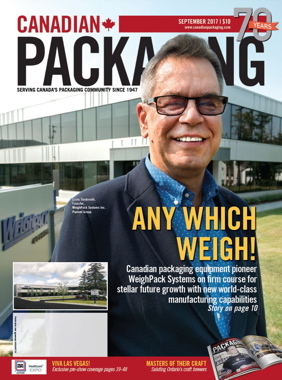 “Our new facility clearly positions us for further growth ahead,” Taraborelli told Canadian Packaging in a recent interview, praising the many new capabilities and competencies the new $8-million facility provides to both WeighPack and its constantly growing list of customers across a broad spectrum of CPG (consumer packaged goods) industries. Housing the company’s fabrication department, 16 assembly workstations, and a separate protected R&D (research-and-development) area, the modern building will significantly “increase our production capacity to supply growing global demand for our products,” Taraborelli relates. “We even went so far as installing a huge and very tall walk-in climate-controlled area, where we can test our machines in refrigerated environments with high-pressure, washdown capabilities,” Taraborelli extols. “We can completely simulate a customer’s working environment at our new plant. “As part of our design criteria, we instructed our architects to create a campus style environment,” he continues. 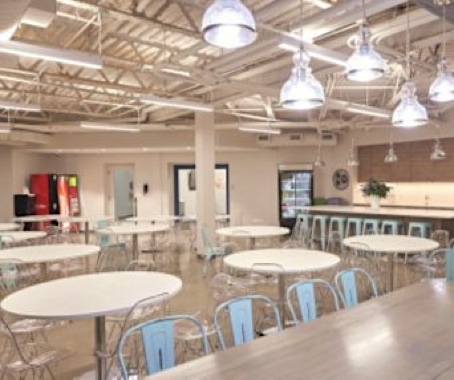 “Our open areas, our cafeteria and our leisure room are all a testament to our commitment to create a positive, enjoyable work environment for our employees,” Taraborelli points out. A bird’s-eye view of the extensive range of state-of-the-art production machinery and well laid-out work areas housed under the roof of WeighPack Systems’ brand new 70,000-square-foot manufacturing facility in Montreal. 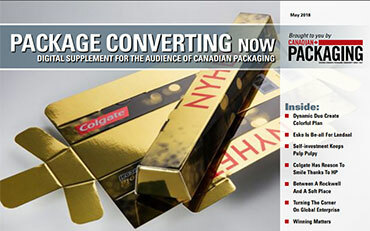 Widely acclaimed in global packaging industry circles as one of the world’s leading manufacturers of primary packaging machinery such as weigh fillers, automated bagging solutions, container fillers, custom conveyors and custom automated systems, as well as system integration, WeighPack’s rise to industry prominence is an inspiring ‘rags-to-riches’ story offering compelling proof that Canadian manufacturers of packaging and industrial machinery are more than capable to compete on a global stage—if they’re willing to put in the time, effort and commitment like Taraborelli has for more than 45 years in the business. The new WeighPack Systems building features many open areas with plenty of natural sunlight to create a positive and enjoyable work environment for the facility’s dedicated and highly talented employees. “I began my journey in the packaging machinery industry in 1972 as a 17-year-old, when I was hired by Ed McPhee as a parts order clerk and shipper/receiver at the Montreal branch office of what was then largest packaging machinery sales service company in Canada, the Paul Moore Company,” Taraborelli recalls, crediting former boss Rick McLeod for nurturing his prolific sales skills so early in his career. “After having shown initiative by generating over $300,000 in parts business in my first year, I was promoted to a sales rep position,” he relates. “I think I was the youngest packaging machinery sales rep in Canada back then—surrounded by guys ranging from late 20s to well into their 50s. “I still remember the day Rick McLeod asked me to come to work well-dressed so that I could now officially start selling. “I did not own a shirt and tie,” he chuckles, “but I had a nice turtleneck. 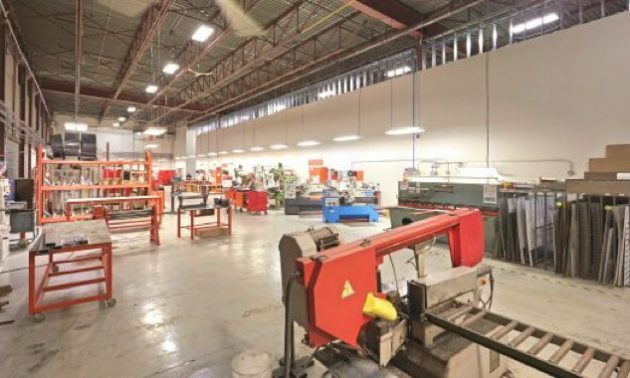 A view of the full-service fabrication department housed inside WeighPack Systems’ new $8-million production facility in Montreal, which took about 10 months to build from the ground up. Quickly rewarded with a company car, a brand new 1974 Chevrolet Nova, Taraborelli went on to build up an impressive client list in very short order. “Some of my most memorable early sales were to Frank Saputo,” Taraborelli says, recalling the special bond he built with a co-founder of a fast-growing cheese producer that has since grown into a globally operating dairy product giant Saputo Inc.
“I had a great respect and admiration for Frank,” he confides. “I initially sold them their first ricotta filling machine in 1974, which was a semi-automatic Autoprod piston filler doing one ricotta cup at a time,” Taraborelli recounts. The WeighPack plant’s engineering department is situated in a bright and open area to stimulate creative thinking and fee-flowing interaction amongst its safe. Taraborelli says the experience gave him the confidence and faith in his ability to make a name in the business for himself. “So I left Paul Moore at the ripe age of 20 to start my own business—quickly learning the first hard business lesson of not quitting one’s job before having something solid in place to go to,” Taraborelli recalls. 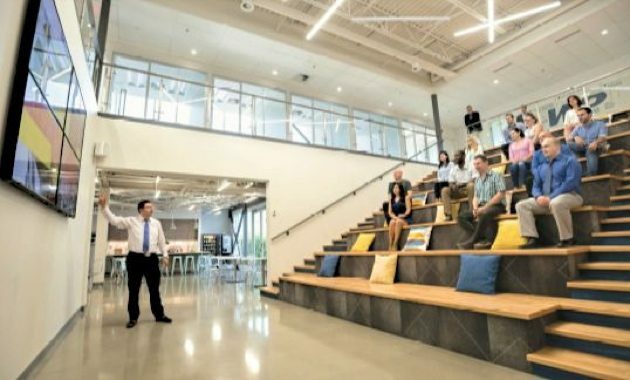 Stadium seating and gigantic TV screens are just some of the many staff amenities housed at the new WeighPack plant, along with a leisure room (background) with a ping-pong table and an on-site fitness center. To get the fledgling business going, Taraborelli hit the road to attend some of the industry’s biggest trade shows to line up some of the exhibitors for representation in the Canadian market. “I went to the PMMI (Packaging Machinery Manufacturers Institute) show in 1976 expecting to meet some key suppliers that I did very well with when I was with Paul Moore,” he recalls, “and at the end of the day I left the show representing two companies. “The two companies were Autoprod and Universal Packaging, a fledgling manufacturer of vertical form-fill-seal machines starting at $6,900,” says Taraborelli. “I also visited the Ipak-Ima show in Milan and came away representing the Soteco Group, which manufactured IMA, BFB, and Farcon that, at the time, were all unknown brands in North America. In 1977, I introduced Ilapak to North America. “Ultimately, though, I decided that at some point our future had to be built with our own products,” Taraborelli states. A close-up of a workstation used to assemble the PrimoCombi range of multihead weighing systems for high-performance applications requiring high throughput rates and tight accuracy tolerances in busy or harsh production environments. As it turned out, it was a brilliant decision by any measure. From humble beginnings, with only a few people, WeighPack Systems has grown from a fledgling upstart producing six machines a year into a diverse manufacturer of well over 400 machines annually. A Paxiom Group showroom inside the new WeighPack plant demonstrates the extensive range of packaging line capabilities offered by WeighPack and its subsidiaries to suit a vast array of automated packaging applications in many CPG industries. Not surprisingly, the team includes three of Louis Taraborelli’s sons—Nicholas, Justin and James—filling in senior management roles at the three major parts of the Paxiom Group business. “My son Justin, vice-president of operations now running the show at WeighPack in Montreal, started in the family business over 10 years ago and grew through the ranks—today managing a large team of highly-qualified professionals,” Taraborelli says. 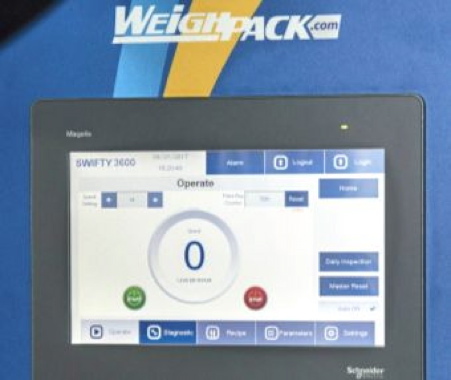 WeighPack Systems makes extensive use of the high-quality Schneider Electric Magelis HMI (human-machine inteface) touchscreen terminals to control the operation of its machinery and equipment in the most user-friendly way possible, with a short learning curve. For their part, vice-president of sales and marketing Nicholas Taraborelli manages the company’s two Paxiom System Centres in Toronto and Las Vegas, Nev., while James Taraborelli recently returned to Canada after overseeing the startup and growth of the company’s subsidiary in Shanghai, China. 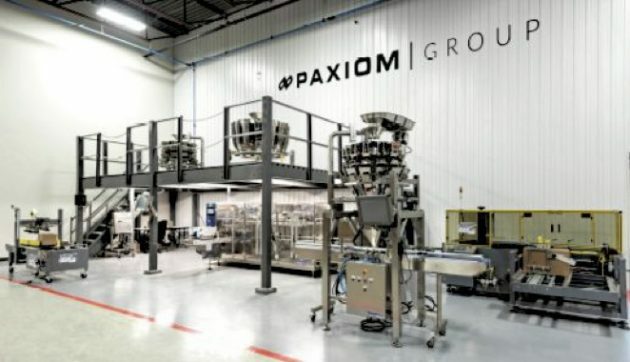 The company’s Paxiom System Centres—the Las Vegas location started up in 2004 and the Toronto branch in 2014—are totally “unique in the industry,” according to Nicholas Taraborelli. “Both locations have over two million dollars of machines permanently on display and available for demonstration to the exact needs of our clients,” he explains. “We offer technical support and can dispatch field service techs promptly with easily available flights to all cities in Canada and U.S.,” says Taraborelli, citing the company’s high comfort level with using advanced information and communication technologies to provide immediate feedback and technical support to its customers. “We use a lot of new-generation software and hardware tools to operate efficiently. Our business-integrated software with advanced MRP (Material Resource Planning) functions and our VoIP (Voice over Internet Protocol) technology allow us to process parts orders from any of our locations in real time,” says Taraborelli, adding that the company plans to open more strategically-located regional System Centers in the next two years to get even closer to its customers. “I firmly believe that the future of this business lies in having superior regional sales and service support,” he states. “The competition is ferocious,” he stresses, “and in the end it’s all about reliability of the product and after-sales service and support. The new plant’s cafeteria is also designed to encourage positive social interaction among the plant’s personnel from across all departments. According to Taraborelli, opening shop in China back in 2006 has greatly enhanced the company’s geographic reach and influence in the increasingly globalized marketplace for packaging equipment. “We were surprised at the amount of Chinese producers of packaging machines that already existed in China,” he recalls, “but we also learned early on that each and every machine bought there needed to be thoroughly inspected, tested and fixed prior to customer delivery. “The Chinese were not consistent in any way with the quality of their workmanship, so we decided to open our own manufacturing facility as a WOFE (wholly-owned foreign enterprise) in the free trade zone in Shanghai. “With labor costs being so cheap in China we wanted to outsource sheet metal and machined parts to keep our product costs low, while offering a quality product at a reasonable price, but we knew we had to be there ourselves to apply western management and quality standards,” says Taraborelli, noting the Shanghai plant nowadays employs over 50 full-time people. “We now have installations up and down the Asia-Pacific market, including Japan. 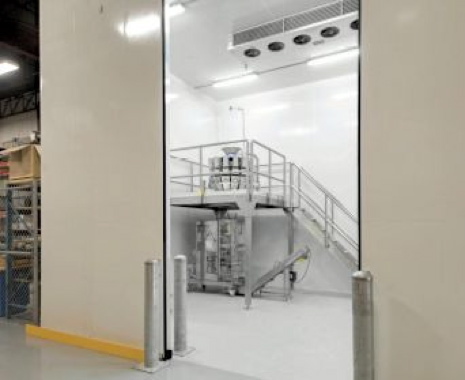 The plant’s segregated temperature-controlled room allows WeighPack to faithfully simulate the working conditions of its end-user customers in order to design the most optimal packaging solution for their application needs. 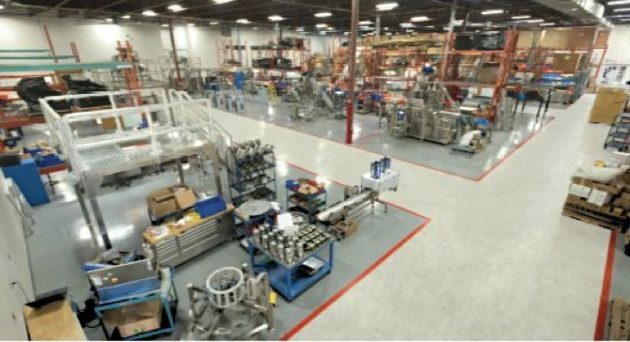 In 2008, Taraborelli successfully completed the purchase of Eagle Packaging Machinery in Miami, Fla., a well-established manufacturer of self-locking box formers, case erectors, tray formers and casepacking systems. 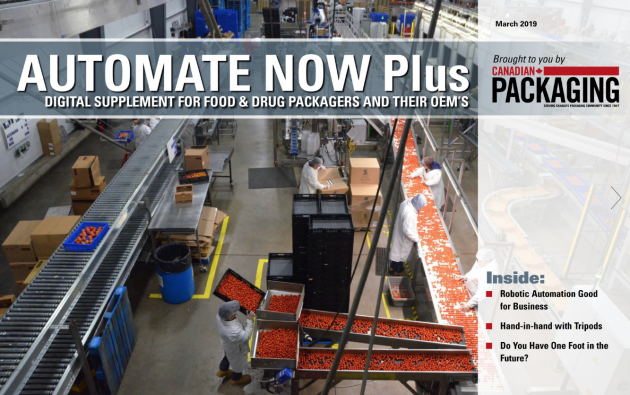 “This strategic acquisition provided us a diverse portfolio of end-of-line packaging solutions that fit seamlessly with the WeighPack Systems,” Taraborelli notes, “providing us the ability to deliver a true complete system solution designed, manufactured and serviced by one company. “So not only can we take raw product and weighfill fill into a bag, jar , box or most any package,” he explains, “but now also put that package into a formed case and place it onto a pallet, managing the entire packaging process. 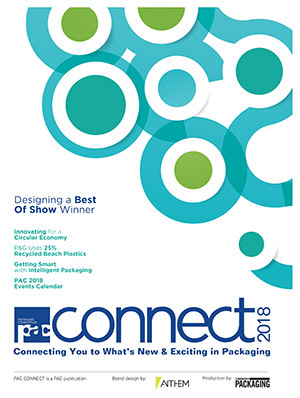 As Taraborelli strongly points out, “We are fully committed to providing our customers a single-source supplier for high-quality packaging solutions delivered and serviced by one company. “We pride ourselves on having complete responsibility and being totally accountable,” he states, adding there are plans in place to eventually move Eagle Packaging to a newer and bigger facility to accommodate the growing business. 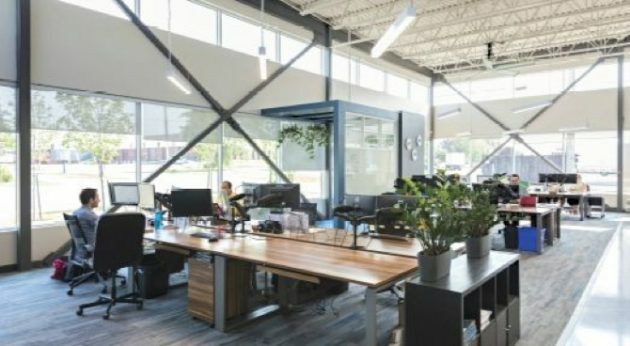 In the meantime, Taraborelli says he is relishing the opportunity to see what WeighPack Systems can accomplish at its new Montreal home digs. “Our engineering team includes mechanical, electrical and automation experts who are very experienced in machine design,” he proclaims. 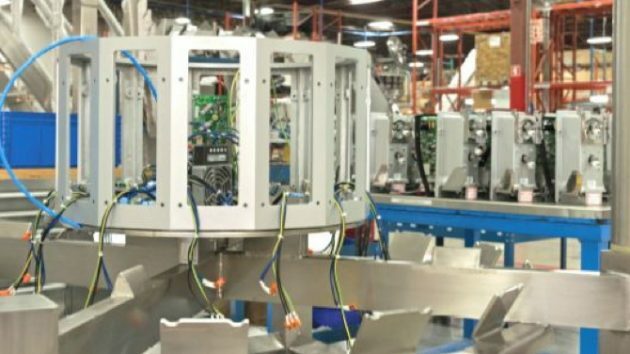 “Our fabricators deliver quality parts we dare to compare to any world-class manufacturer, and our assemblers fully understand how the machines work prior to signing off for delivery. The design and features of the PrimoCombi multihead weigher, the first and only combination weigher designed and built in Canada. The Bingo range of automated bagging machines for controlled atmosphere bagging applications. The very first model V-25 bulk box filling system purchased by Hershey Chocolates 20 years ago—and recently made an additional equipment purchase. A recent partnership with an Italian-based company that builds the new Sleek range of horizontal flowwrappers. 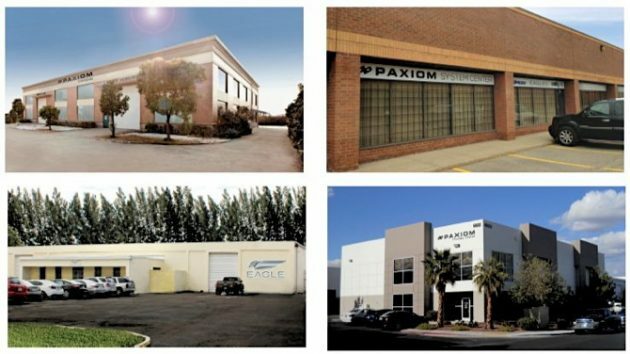 The Paxiom Group also operates from four additional strategically-located System Centers (from top left clockwise) in Shanghai Toronto, Las Vegas, in the Eagle Packaging LLC manufacturing facility (bottom left) in southern Florida. 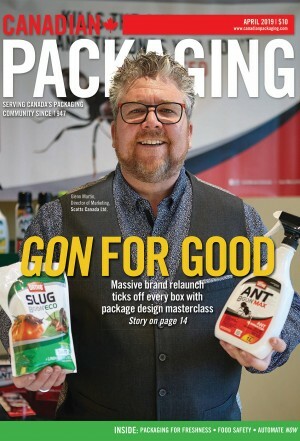 Says Taraborelli: “We are extremely proud to have built such an innovative, diverse and robust product line that has allowed us to promote ourselves globally into all packaging industries. “Our ability to lead, innovate, adapt, make decisions and invest will continue to serve us well into the future,” he adds.